Did you know you can use Dr. Seuss’ The Lorax to teach children to live a greener life? Below there are 10 lessons that you can teach your kids using The Lorax! 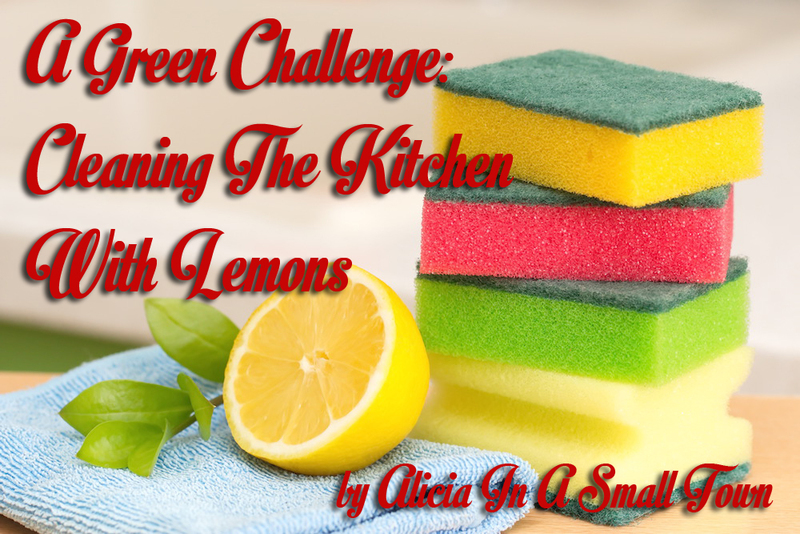 Last week’s green challenge went over so well that I thought I would give you another challenge and some helpful hints about cleaning the kitchen with vinegar! That’s right, good old cleaning vinegar! I bet (or at least I think I do) I have some used for it that you have never thought of! So, hold on to your seats, because here we go! Cleaning Vinegar can be bought on Amazon, or at your local grocery store. Cleaning China and Glass– Add a splash of white vinegar to your rinse water or dishwasher. Cloudy glasses will show their sparkle again if you soak them for 10-15 minutes in a solution of equal parts hot water and white vinegar and scrub with a soft bottle brush. Grease stains– Tackle grease marks around the home with a cloth dampened in equal parts white wine vinegar and and water. It will get rid of the stain and any smells associated with it. Cutting boards– Clean wooden and plastic cutting boards where food prep takes place with undiluted white vinegar before and after each use to get rid of harmful bugs such as E. Coli, Salmonella, and Staphylococcus. If wooden surfaces need deodorizing afterward, remember to use some baking soda. Can openers– A lot of nasty gunk can build up on your can opener. Clean and disinfect it by immersing it in undiluted white vinegar and scrubbing the mechanism with a small brush. 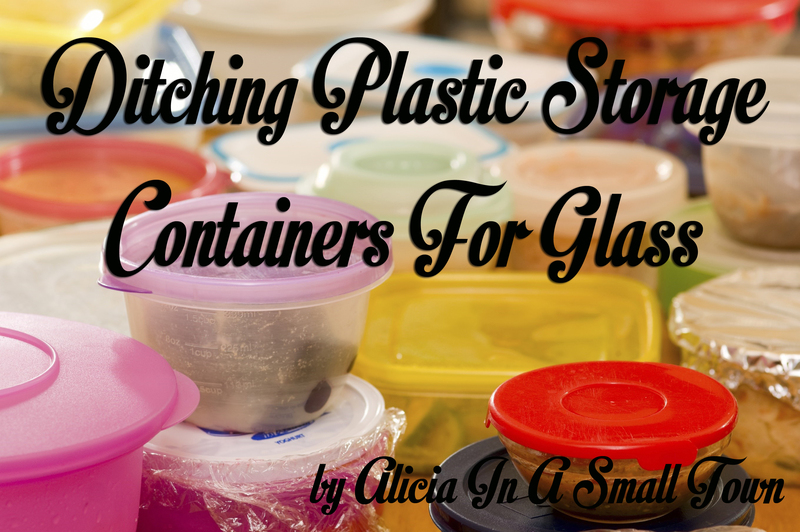 Food containers– To get rid of stains and smells, wash food containers in equal parts white vinegar and water, and then rinse clean. Store with the lids off. Berry stains– To remove stains from your hands and food prep areas, wash surfaces, bowls, and hands with white vinegar and rinse well with water afterwards. Disinfect cloths– Soak dishrags, sponges, and brushes in neat white vinegar and hot water for a few minutes, then rinse and let air dry. Clean the fridge– Equal parts of white vinegar and water make an effective and safe cleaner for inside and outside the fridge. Clean dishwashers– Remove soap build up from the dishwasher by pouring 4 oz of white vinegar into the bottom of the unit and running a full cycle with no dishes or detergent. Steam clean and deodorize the microwave– Place a small microwave safe bowl inside with equal parts vinegar and water and microwave on high for five minutes. Once cool, use the solution to wipe away splatters from the inside surfaces. 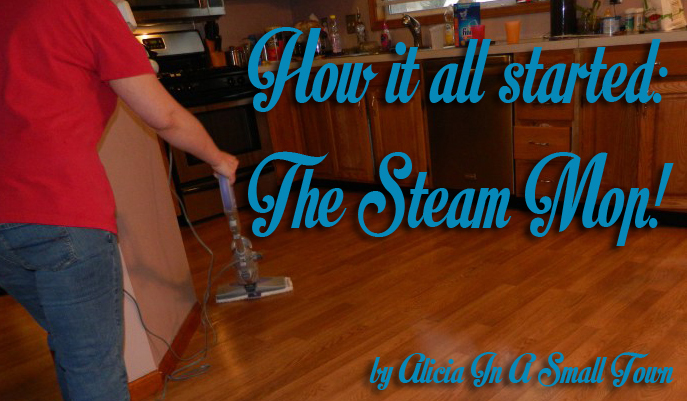 Did you try cleaning the kitchen with vinegar? 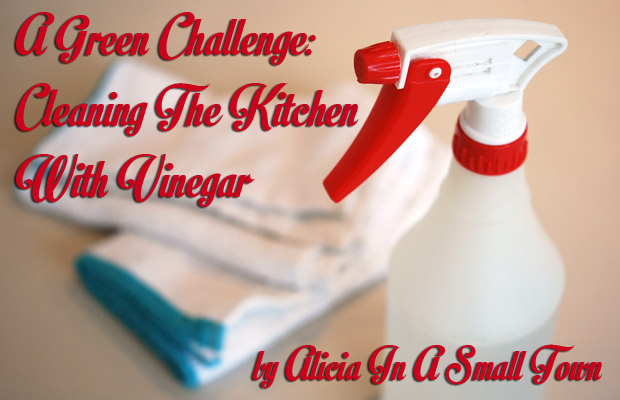 If you tried cleaning the kitchen with vinegar or intend to try it, leave a comment below and let me know what you think! Also, let me know if you think I left anything out.